UNiTing for a better web. Welcome to the Drupal User Group website! 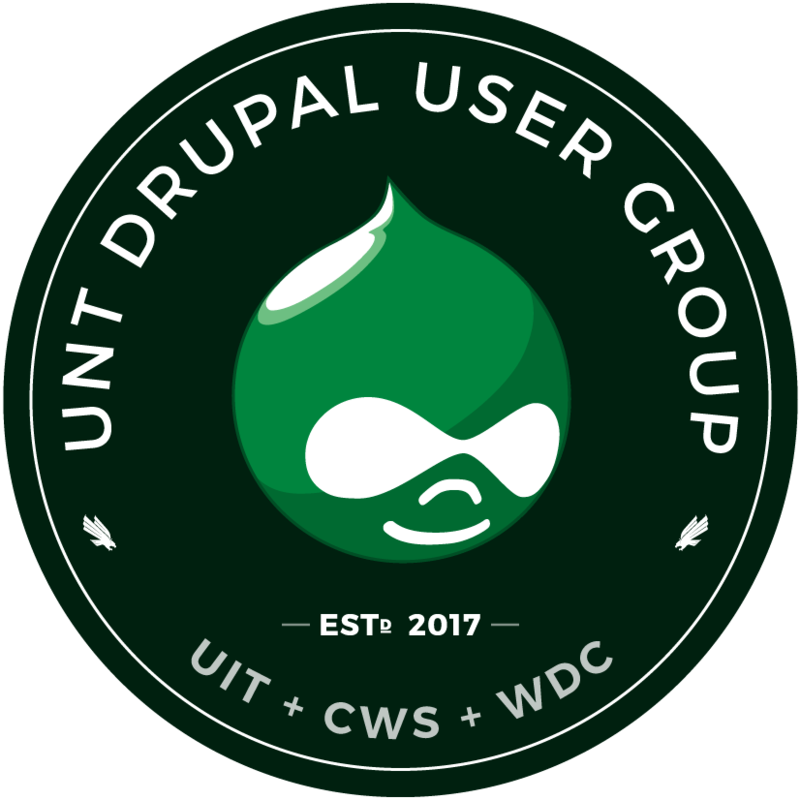 Its intended function is to provide the UNT Drupal community with as many resources as possible so that they can be successful in building and maintaining websites built on top of the Drupal content management system platform. Our goal is for you to be successful, and not frustrated, with your website. We're providing some documentation that will hopefully help you with the many features that are baked into your website. If you're still having problems, please submit a ticket to Central Web Support and they will help find the best person to help answer your question(s). Remember, if all else fails, simply type "Drupal YOUR PROBLEM HERE" into any browser, and you will probably find the answer. The same goes for any error message you may find. Type "Drupal" and then paste the error into your browser and perform a search. At the very least, it will help you find the appropriate terms to use in a more specific search. Search the Documentation, Knowledge Base, FAQs and Forums for answers. Here's the best way to get started setting up your new website. Need help? If you can't find your answers, notify Central Web Support. Learn about our custom modules and theme built for the UNT web developer community. Learn more about principals like best practices for coding and accessibility. Learn from the most frequently asked questions about working on the web at UNT. In the future, we'll be showcasing the hottest topics from the Forums. If you haven't already done so, go and check out the Forums to discover other people working with Drupal on campus, see the problems they're having and how we're trying to support each other, and talk about general topics related to Drupal and Web Development. Come for the code, stay for the week! Asheville is a top tourist destination full of outdoor activities, art, music, food, and fun. There’s something for everyone in our welcoming city nestled in the mountains of Western North Carolina.